Wesley Smith, an author and a senior fellow at the Discovery Institute’s Center on Human Exceptionalism, discusses bioethics, particularly related to end of life issues. 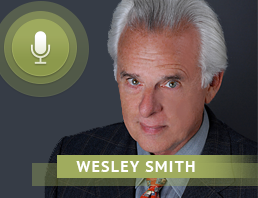 WESLEY SMITH: Thanks and please call me Wesley. 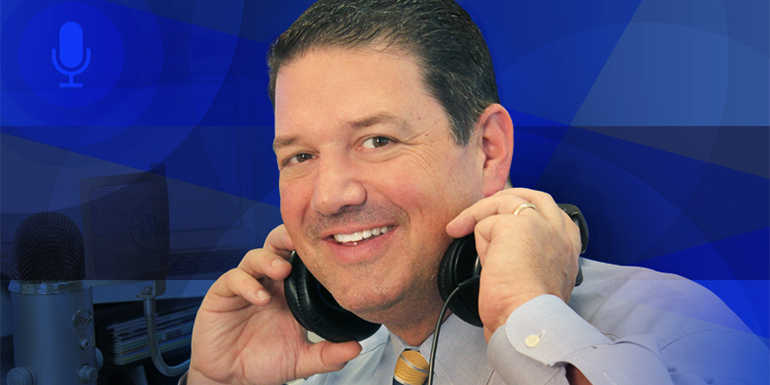 JOHN RUSTIN: As we begin our discussion, would you help our listeners understand the difference between euthanasia and assisted suicide as we’ll be discussing these matters today. WESLEY SMITH: From my perspective, morally, there is no difference. One is like the left leg following the right leg walking. But in terms of the technicalities used in debate, assisted suicide is, when generally speaking, we’re talking about a doctor provides a poisoned prescription to patients to use for suicide, and then the last act causing death is taken by the person who dies. Euthanasia, in this context, is usually when the doctor takes the act that causes death, such as by a lethal injection. But as I said, one is just like the other. There really, in my view, is no material moral distinction. JOHN RUSTIN: I know, Canadian courts have found a legal right to lethal injection euthanasia in certain medical circumstances. What are the philosophical and legal justifications that are argued for such a finding? And is it possible that those same justifications could be used here in the United States? WESLEY SMITH: It’s really alarming that Canada has gone culture of death was such enthusiasm, because—and we can get into it if we have time—countries such as Belgium and the Netherlands have had euthanasia for years with terrible abuses. And when, in the United States, you bring up these abuses, while the advocates will say: Oh, well that’s nothing for us to worry about. That’s Europe. It’s nothing like us here. Well, Canada is our closest cultural cousin and when something happens in Canada, then we have to be very concerned. What happened in 2015 is that the Canadian Supreme Court created a positive right to receive euthanasia. This was more than merely legalizing it, but basically stating that patients who were qualified have the right to access being killed. And according to the Canadian Supreme Court, that was if somebody was diagnosed with a medical condition that causes irremediable suffering as defined by the patient, and even if the patient is refusing to take action that could actually relieve the suffering that patient is experiencing, and even if the suffering is psychological and not physical. So it was a very broad, wide-open license that specifically said—this court ruling—that the patient did not have to be terminally ill.So this opened up the prospect of euthanasia—lethal injection euthanasia we’re talking about—to not only the people with serious illnesses, but perhaps the people with disabilities and even the mentally ill. While the Parliament, rather than fighting back against the Supreme Court ruling, basically acquiesced and they put a little filler in there saying, the death has to be reasonably foreseeable, whatever that means. I mean, the death of all of us is foreseeable, right? And so right now, Canada has euthanasia throughout the country. it has been endorsed by the national Parliament and has been enacted by each of the provinces. And there are lawsuits, by the way, attacking these laws as too restrictive. And as I read that Supreme Court ruling, I don’t think a reasonably foreseeable standard will pass muster because the Supreme Court said that that terminal illness had nothing to do with it. Now in Ontario, I want to add one more point. In Ontario, they passed a law that said if a doctor is morally or religiously opposed to euthanasia—that is killing a patient. We’re talking about homicide. It’s not murder because it’s legal. But if a doctor is approached by a legally qualified patient to be killed and the doctor has a religious objection or a moral objection—just believes in the Hippocratic Oath, maybe they’re an atheist, but they believe in the Hippocratic Oath—the Ontario law says they must either do the deed anyway or engage in what is called an effective referral, meaning that the doctor has to go out and find another doctor they know to be willing to kill the patient. So the Ontario, Canada law—that’s the province of Ontario—requires doctor complicity in euthanasia.Doctors filed the lawsuit against that, as you can imagine. Because the Canadian charter has a specific provision—It’s actually stronger than our First Amendment. It says that everyone in Canada has the right of “freedom of conscience and religion.” That’s a quote. That’s a very broad protection and yet a judge, in this lawsuit, said that the patient’s right to the equitable referral, which is not in the charter, trumps the religious freedom of the doctors, which is in the charter and the conscience rights of doctors and told doctors they should either participate in killing or get out of medicine. And that’s a terrible authoritarian act, in my opinion. JOHN RUSTIN: Well, no doubt about that. Now I know there are a lot of misconceptions as this issue has been discussed and debated about euthanasia and assisted suicide. How does access or lack thereof to quality palliative care factor into the appeal for euthanasia and/or assisted suicide? WESLEY SMITH: Euthanasia and assisted suicide are sold to the public by a lot of fear mongering, the prospect of dying in agony that cannot otherwise be alleviated. When it is actually practiced, that is not the reason why people ask for euthanasia or assisted suicide. Very rarely is it about intractable pain. Rather, it’s about existential problems. Existential anguish, for example, worries about being a burden, worries about losing dignity, worries about losing the ability to engage in enjoyable activities, which are very serious issues. But you know, people who deal with in hospice and who deal with dying patients, they’ll [know] how to alleviate these problems and help people get through those dark times. And yet telling people who are terminally ill or otherwise depending on the jurisdiction: Well, of course, we would prevent your suicide, but you have cancer. So we’re not going to give you suicide prevention. We’re going to give you suicide facilitation. Well, that’s abandonment in the extreme. What kind of a message does that send to people who are sick? You’re right, your life isn’t worth living. You’re right. You are a burden. It’s a cruelty even though it pretends to be compassionate. JOHN RUSTIN: I know that palliative care is one aspect of this, but I also know that you’re a big advocate for prevention. What are some prevention techniques, Wesley, that both loved ones and physicians can employ that will help in practical ways to address the issues and circumstances that often lead someone to consider assisted suicide? WESLEY SMITH: First off, people need to make sure that patients who are seriously ill are receiving proper treatment. For example, if somebody’s got cancer and they’re in terrible pain, there are tremendous capacities for pain control that really reduce—you can never eliminate all pain, but you can significantly alleviate pain. I’ve seen that. I saw that with my own father when he was dying of colon cancer. The second thing is that somebody becomes suicidal. You should treat… Let’s say somebody again has a serious condition like Lou Gehrig’s disease or cancer and they become suicidal. You shouldn’t say: Oh gee, I would want to die if I were in your situation too. Talk about pushing somebody into the grave. What should be done is professional suicide prevention. Just as you would prevent the suicide of somebody who wanted to kill themselves because their children had been killed or their business had collapsed, or they were involved in some kind of a scandal. Concerted intervention for suicide prevention for the sick also works. And in fact, you see a lot of assisted suicide advocate saying: Oh, well they were in hospice and they wanted assisted suicide anyway. Well, that’s like saying: Oh well, they were in hospice and they want a pain control and we didn’t give that to them, so they had assisted suicide. When you deny people the suicide prevention, which is part of hospice care, you are denying them an essential aspect of the treatment for people who were dying and it’s really wrong. JOHN RUSTIN: Wesley, the architect of Obamacare, Ezekiel Emanuel, recently made headlines when he argued in the Journal of the American Medical Associationthat “Life extension should no longer be the primary goal of medicine when applied to people older than 65 years.” Doesn’t that seem like the opposite conclusion that ought to be drawn, especially when we consider that the world has increasing life expectancy and there have been dramatic improvements made in medicine and healthcare? WESLEY SMITH: Well, it’s ageism to at the very least. There’s a great deal of messaging to elderly people that they are not as worthwhile as other people and it’s a terrible discrimination and it’s very real. It affects people. People worry about being a burden. People worry about continuing to be loved if they end up with, you know, the kind of health difficulties caused by aging and it’s something we should be very concerned about. We should not allow healthcare to be turned into a utilitarian, discriminatory field of endeavor where some people get better care than others. What we need is universal human equality in health care. And that means that the people who were elderly should be treated as individuals and whatever kind of interventions would be best for them as an individual, not based on some category which turns into an invidious means of discrimination. JOHN RUSTIN: Wesley, what can be done to address the growing number of instances where patients are told by their insurance companies that treatment for their medical conditions will not be covered, but life-ending drugs will be covered. WESLEY SMITH: That’s happened a few times. That has happened in Oregon in 2008. Oregon’s Medicaid, which is the insurance for the poor, is rationed, and two cancer patients, who were terminal but wanted the life extending—They didn’t expect to get cured from it, but they wanted an extra year or so of life from the chemotherapy—Well, these two patients were told by the State of Oregon, if you can imagine, that a sorry, your health care is rationed. We will not pay for your chemotherapy because it will not keep you alive long enough. But, and they said in letter, but we will pay for your assisted suicide. […] You can imagine how that must’ve felt. Just tremendous cruelty. So you can imagine where eventually this could end up being a big financial question of saving medical resources. It only costs about a thousand dollars for an assisted suicide or euthanasia, including the doctor’s visits. It could cost $100,000 to give a patient that kind of care so they didn’t want an assisted suicide or euthanasia. The force of gravity, in terms of economics, becomes obvious when you think about that. JOHN RUSTIN: Wesley, what advice would you give to patients and their loved ones to help ensure that their right to life is protected? WESLEY SMITH: Everyone should sign an advanced medical directive, and I’m not talking about a living will. I’m talking about what is often called a durable power of attorney for healthcare. But the document, instead of saying to the doctor, if I’m sick, don’t get me this, or if I’m sick, do give me this. You will appoint somebody to represent your interests, if you get to the place where you cannot make your own decisions. And then you can put in these documents, a durable power of attorney for healthcare, the kind of treatments you want or don’t want. You can put, specifically for example, the Patients Rights Council has a protective medical decisions document. It’s called state specific. You can name your surrogate decision maker. I believe the National Right to Life Committee has something called, will to live, which is a similar document. And there are others like it out there that allow you to appoint a decision maker for you who shares your values and will value and protect your life if you become unable to make your own decision. JOHN RUSTIN: Where can our listeners go to get information, more information about what we talked about today and uh, to learn more about the Discovery Institute. WESLEY SMITH: Discovery Institute is Discovery.org. The Patients Rights Council I just gave you, they have a huge, a library on a lot of these issues and I’m writing articles constantly either in the National Review,Weekly Standard, American Spectatoror other places. And I always post those online for people to read. So, if people would like to follow me on Twitter. I’m at @forcedexit. That’s the name of my book on euthanasia, Forced Exit. I also have a Facebook page if people want to follow me. And we have a Human Exceptionalism Facebook page where all my articles are published, if you want to like that and go there and be part of that. You’ll be able to access everything I do. JOHN RUSTIN: And with that, Dr. Wesley Smith, I want to thank you so much for being with us on Family Policy Mattersand all of your great work to stand for life. WESLEY SMITH: Thank you very much for having me.